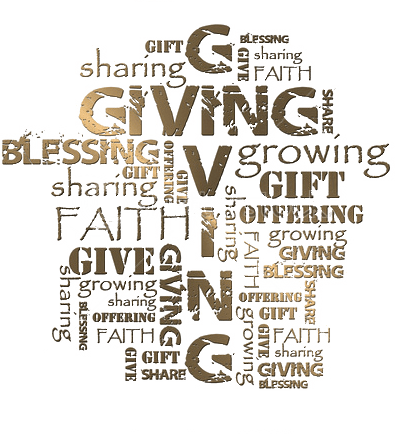 Giving is something members of St. Anne’s do as part of our worship, commitment to God’s people and support of the church. While the information below relates to financial giving, if you would like to get more involved in the life of St. Anne’s there are many ways in which you can serve. Below are various ways in which you can support St. Anne’s financially. The most efficient way to give is directly to the church bank account by Direct Debit. This is very easy to set up. For information on how to set up a Direct Debit through the Parish Giving Scheme, please contact our Treasurer or Rev. Ian Greenwood. Joining our weekly envelope scheme, known as ‘Free will offering’. Please speak to our gift aid secretary, or Rev. Ian Greenwood to order your envelopes. A regular collection is taken at every Sunday service you can put cash, or cheque (payable to St Anne’s PCC) onto the plate. If you pay UK tax (Income or Capital Gains Tax) then you can make donations tax efficiently. This means by completing a Gift Aid Declaration you will allow us to claim an additional 25p for every £1 you give. For more information contact our gift aid secretary. Legacies – You may wish to make a donation to St. Anne’s in your will. Please ask your solicitor when you make or change your will, look at our Legacy page for more information. Become a ‘Friend of St. Anne’s’. Please refer to this page for more details. Online purchases – You can donate to St. Anne’s (at no cost to yourself) every time you buy online from a host of major suppliers such as Amazon, Tesco, Asda, M&S, john Lewis and ebay. Just go to www.easyfundraising.org.uk , register with them, nominate St. Anne’s Aigburth as your chosen charity and follow the instructions. This will generate a donation to the St. Anne’s (typically 1.5%) on each qualifying purchase.